The big news coming out of Costa this year is their new 580P lens. The new Costa 580P lens is a super lightweight, impact resistant, injected polycarbonate alternative to Costa’s existing 580 glass lens. All of the patented Costa 580 lenses block yellow light at 580 nanometers on the light spectrum. The result for consumers is excellent visual clarity, the high levels of polarization efficiency, and improved color enhancement. 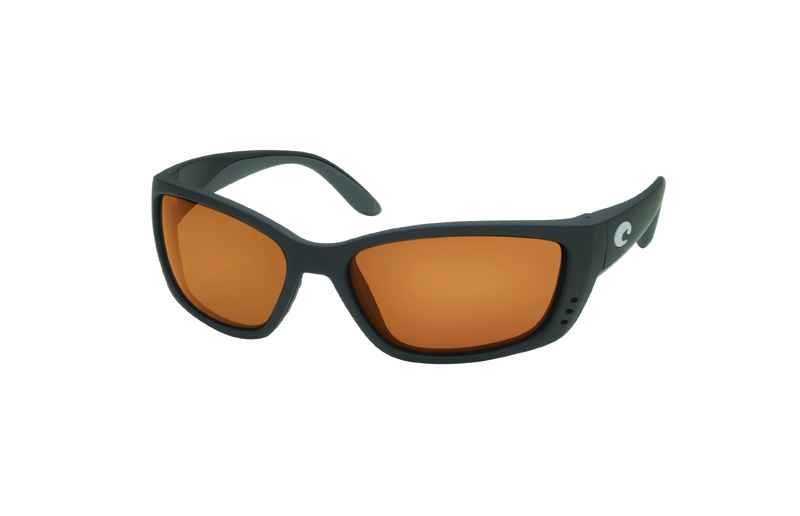 Looking for the Latest Fly Fishing Sunglasses? Until now, the Costa 580 lens has only been available in glass. While glass is the most optically correct and scratch resistant material, it is not as impact resistant and lightweight as polycarbonate or other plastic lenses on the market. Costa developed C-WALL, a highly specialized, oleophobic and hydrophobic coating on the new 580P lens to make it as virtually scratch-resistant as glass while also repelling water, oil and dust. Costa’s 580P lenses are available in gray, copper or amber, and initially will be available in 18 frame styles, including the popular Fisch, Blackfin, Zane and Corbina. Prices range from $159 to $199, depending on frame choice, and have been available in retail outlets and online since July. The new Fantail features a “360 degree co-molded technology.” This is a no-slip hydrolite lining along the entire interior of the frame to help keep the sunglasses comfortably in place all day. The frame has a hard rectangular shape frame, with a medium to large fit. The nylon construction provides maximum durability and a comfortable fit, able to withstand harsh outdoor conditions. This frame is available in tortoise or black frame colors, as well as several lens options. Lens colors include gray, copper, amber for Costa 580P, with the same colors, plus blue, green and silver mirror options in 580G. MSRP is $149 to $249, depending on lens selection. Part of Costa’s 2010 collection, Jose features co-molded injected performance technology. In layman’s terms, the frames are made of nearly indestructible nylon. At the same time, the anti-rocking spring hinge and no-slip Hydrolite™ nose pads give the wearer a comfortable “forget-they’re-on” fit. The Jose’s frame color choices include tortoise or black, and can be customized with the full variety of Costa’s lens colors and materials. The style retails from $159 to $259. This larger nylon frame features co-molded injection technology and integral hinges, combining a great fit with nearly indestructible construction. Built-in temple lenses enhance peripheral vision. 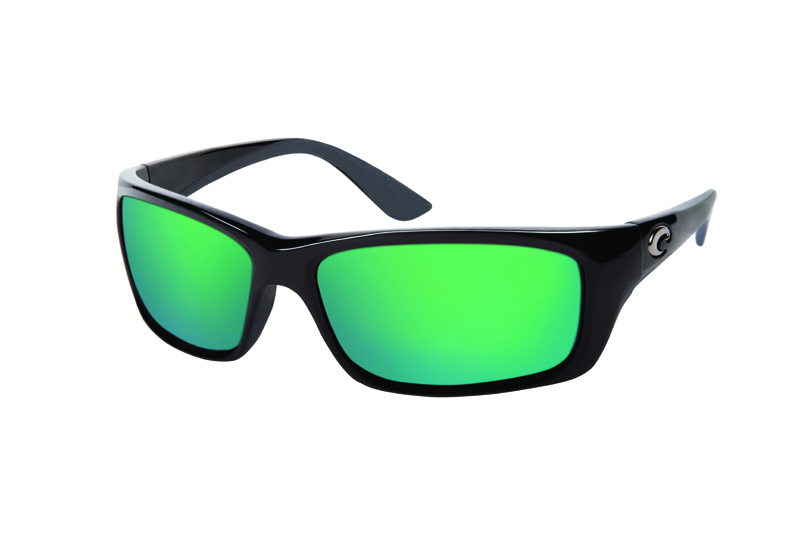 These frames also include the no-slip Hydrolite™ lining. The Bomba is available in either tortoise or black frame colors, with Costa’s patented 580™ glass lens technolog. 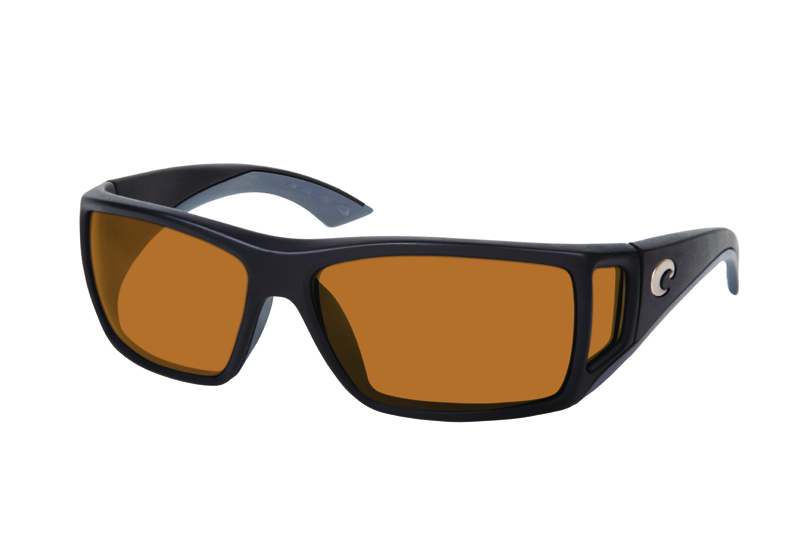 Costa offers the lenses in gray, copper, blue, and green and with silver mirror. The style retails from $149 to $249.